Any restaurant needs a good menu. It’s something that gets personally handed to the customers to hold and look over. It holds some significance even if the customer doesn’t realize it. 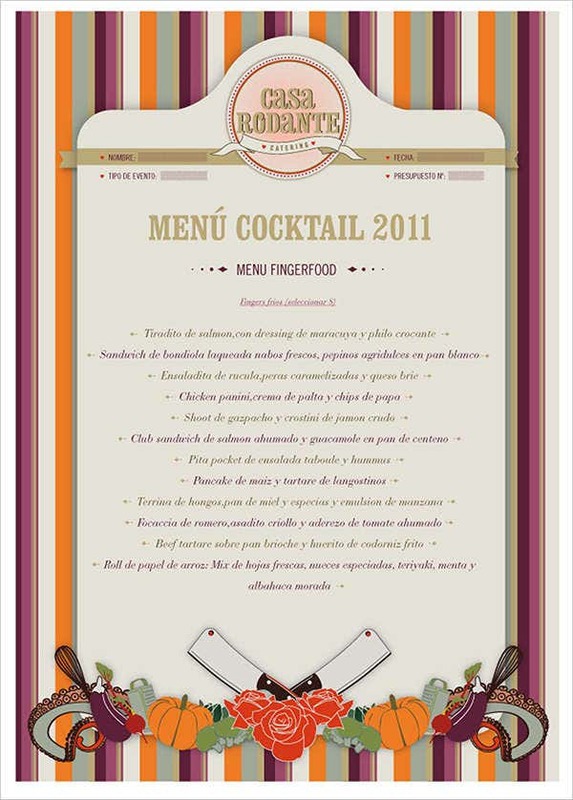 A well-designed menu guides the diner to the selection of food available in a very deliberate way. Appetizers, main course, drinks, they’re typically listed in the same order that we typically would want them during our meals. 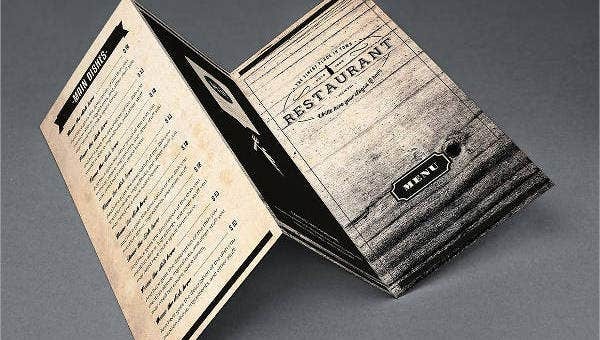 If you’re a restaurant owner and you’re looking to give your current menu an update, go ahead and browse through this collection. If you haven’t found what you’re looking for, head over to this collection of menu templates for more. 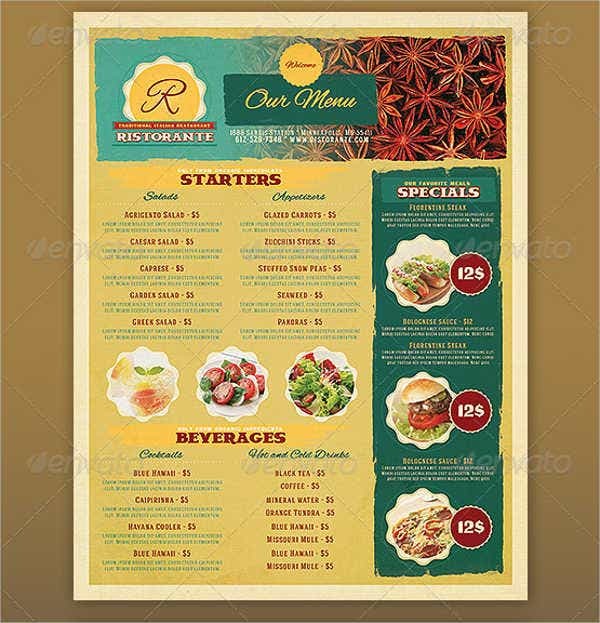 A lot of thought goes into designing a good menu to make it have a real positive effect on business: design inspirations, color themes, how the items are listed, fonts used, how many pictures are added in if any, and even how the prices are written. 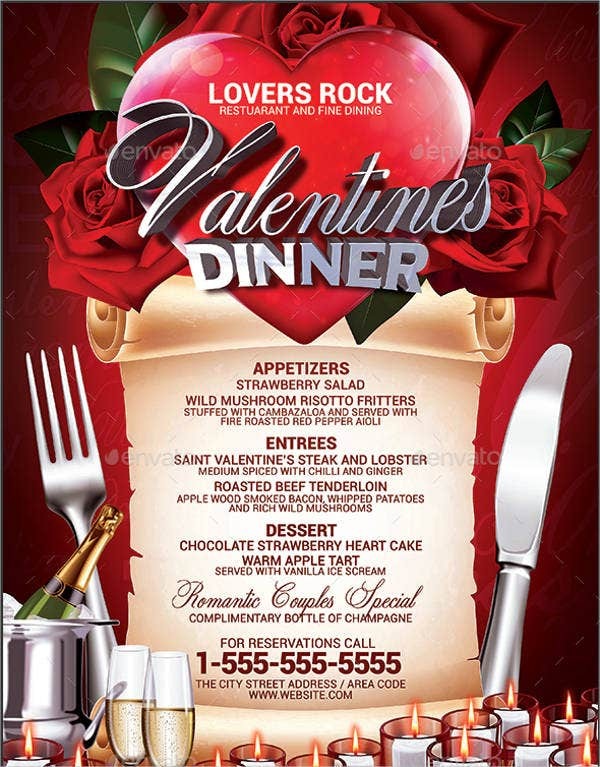 Not putting the money symbol in your menus influences the diner to spend more, and shades of red stimulate appetite. Those are just two of the more tangible effects design has on a restaurant menu. 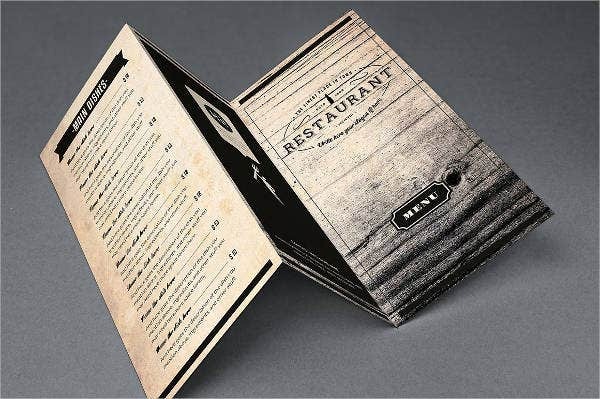 To preserve a restaurant’s ambiance or atmosphere, the menus should match its overall design style. Having your menu stick out like a sore thumb could take the guests out of their experience, especially when the menu is supposed to give the first introduction to food. So take your time looking for a template that’s right for you. 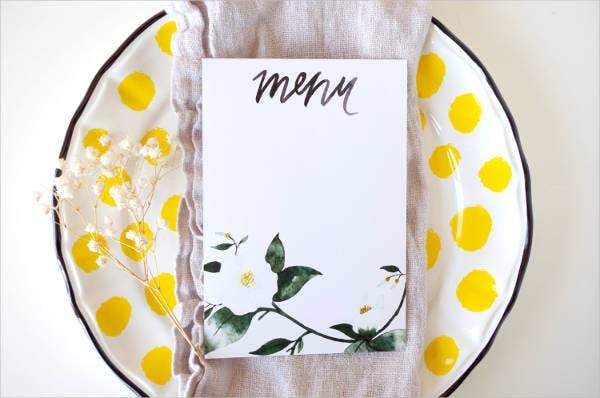 If you handle catering for your clients, you might want to check out this list of catering menu templates and see for yourself if there’s a template that works for you. 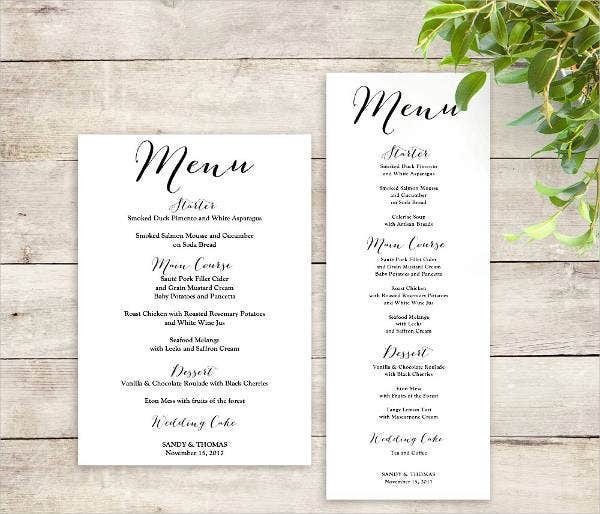 If the menu templates that you’re looking for are more for weddings, then take a look at some of these wedding menu templates for one that would suit to your special day. This collection of free and premium templates come available in a variety of formats, but all of them are easily modifiable. The tools required to modify them and which parts are quickly editable comes down to how they’re listed and described by the designers, some of whom have left useful comments on their work. 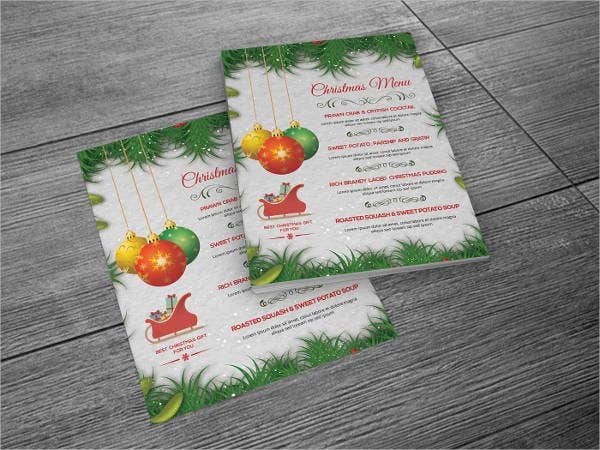 These are high-quality menu designs that are ready to print for your use. They come in CMYK colors for best printing conditions, and each one of them should be available in more than one size option with no loss of quality. Some of these menu designs are so open to change that they can fit most kinds of food establishments. 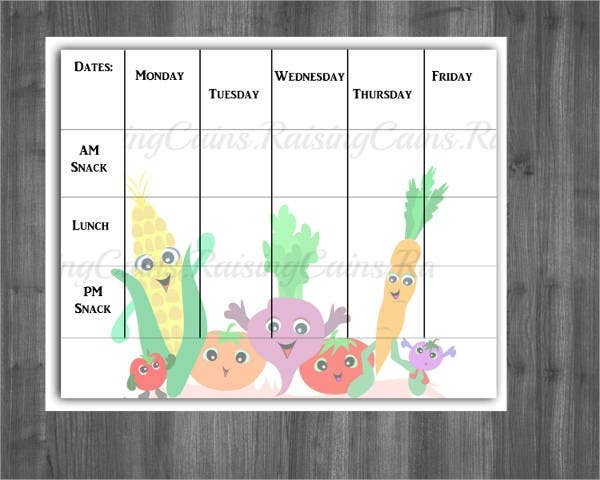 Having, however, a menu template that’s tailor-made for your type of restaurant would make things so much easier and cause less strain on your schedule. If you happen to have a bakery in mind, then you’re in luck. We just so happen to have a menu design template collection for exactly that. See it here: bakery menu templates. And if not, take a look anyway. 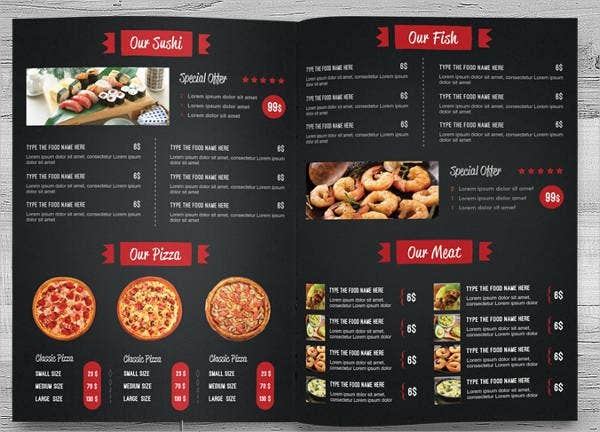 Seeing more templates created by seasoned graphic designers will give you a better insight on what makes a well-designed menu.